Mehmet Gormez said Muslims need to put in a joint effort to revive the quintessential values of the Islamic civilization. The Islamic world needs to put joint effort to revive the quintessential values of the Islamic civilization, head of Turkey's Directorate of Religious Affairs said Saturday. 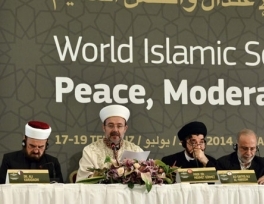 "Suffering, violence and conflicts in various regions of the Islamic world including its storied cities like Baghdad and Damascus have been wounding every Muslim's heart profoundly," Mehmet Gormez said on the last day of the "World Islamic Scholars, Peace, Moderation and Commonsense Initiative" conference in Istanbul. “These incidents show us that the common values of the Islamic civilization are fading away in modern times. The Islamic world needs to make an effort to revive these fading values,” he said. Gormez said they established a contact group of ten people with an aim to promote peace in the Islamic world. “The contact group will meet governments, parliaments, international institutions, religious groups, and academic and scientific circles to discuss and propose solutions to bring about peace in conflict-hit areas in the world,” he said. 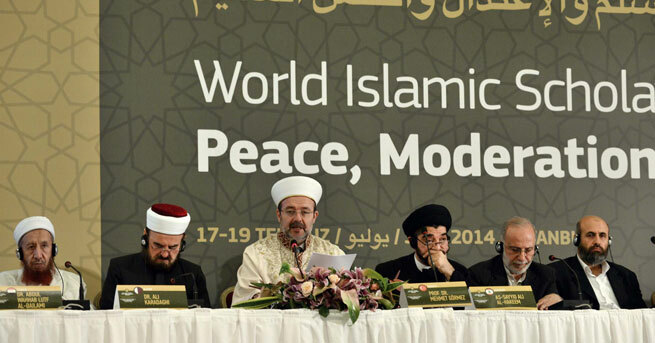 The Istanbul conference of ‘World Islamic Scholars Peace, Moderation and Commonsense Initiative’ hosted Islamic figures from 32 different countries between July 17 and 19.